Categories: Divine Names, Hindu Calendar. We are all familiar with the term ‘leap year’. According to the Gregorian calendar, which is the standard calendar in most parts of the world a leap year comes once every 4 years and contains an extra day. Our Hindu lunar calendars too have the concept of leap year. In this calendar, a leap year occurs once every 28-36 months (2-3 years) and instead of one day, one whole lunar month is introduced in the calendar. This ‘leap month’ is called ‘Adhika Masa’. A question that may arise is, “Why one whole month?” The reason behind that is a lunar month is 29.5 days long, so one year contains only 354 days as opposed to an astronomical or solar year, which is 365.25 days long approximately. The ‘missing’ days are accumulated resulting in the addition of a 13th month in the lunar calendar once in every 2-3 years. Astrologically speaking, the period that the Sun remains in a zodiac sign is termed as a solar month and a lunar month is the time from one new moon day to the next. Thus, during the year with Adhika Masa, two new moon days occur during the same solar month, causing the lunar month between the two new moon days to be called as the ‘Adhika Masa’ and the following lunar month to be called as the ‘Nija Masa’ of the same solar month. Adhika Masa is also known as ‘Purushottama Masa’. Scriptures like Padma Purana mention the glories of this Purushottama Masa. Spiritual aspirants consider this month very auspicious, as one is believed to accrue innumerable merits by performing good deeds during this period. The scriptures describe in detail the various activities that a spiritual aspirant should engage in, ranging from reading the scriptures, fasting, dip in sacred waters, charity and so on. Among them, the easiest and the most practical one deemed the most suitable for this age of Kali is chanting the names of the Lord. Even a little advancement in the path of Dharma will relieve us from the eternal suffering. This year, the Adhika Masa falls during the Bhadrapada month between August 18 and September 16. During this month, whenever we find time in our busy schedule, let us resolve to chant the names of the Lord as much as possible. 4 Responses to "Adhika Masa, the Leap Month"
Wonderful information. I have always wondered about this and now all the pertinent information is available in this nicely written article. Thanks! Though u r living in USA, I like u r spiritual nature. As per Hindu calender this Adhika masa will be calculated scientificaly. 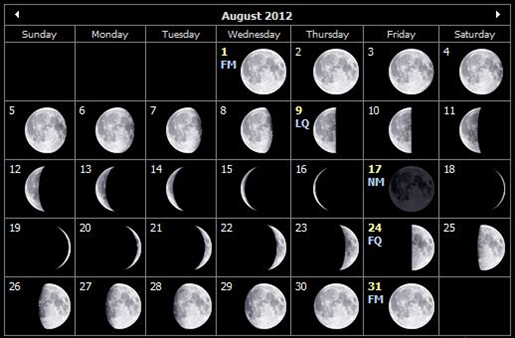 So u hv given very good lunar calender to understand. Also worship of lord Vishnu (Vishnu Sahasra Naama). I request Apoopa Dana to be included in this texture so that people can take benifit of this by making dana. It is also described in purana apart from other danas. can a person marry in dis particular month?? Very informative and timely!. Thanks Soumyaji!